Fabulous news for all those who love their drag racing: drag icon RuPaul Charles has just landed his own talk show on daytime TV this June. Tentatively titled RuPaul, the show will see the noted drag superstar return to the network airwaves 20 years after the cancellation of his earlier VH1 talk program The RuPaul Show. The new series has landed a three-week test run and will air on Fox stations in syndicated markets, including New York and Los Angeles. Related: Hungry for more “RuPaul’s Drag Race”? Whet your appetite with Drag Star! The show will also boast producer Jill Van Lokeren, longtime producer of The Oprah Winfrey Show. 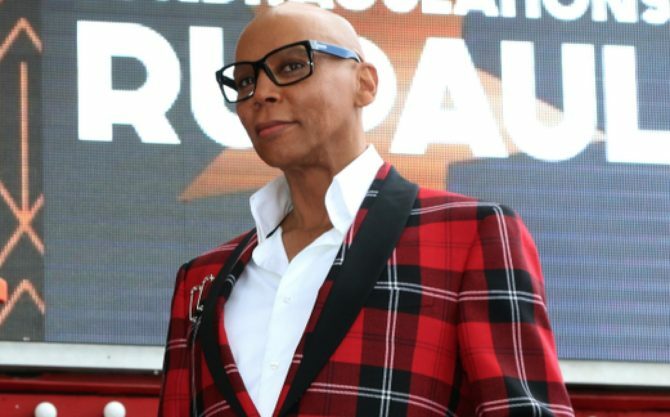 The series will also widen RuPaul’s exposure on television, adding to his duties as host of RuPaul’s Drag Race and it’s spin-offs Drag Race All-Stars and RuPaul’s Drag Race UK. The new series is set to debut June 10. Not to mention his being one of the three American judges on the CBS talent show “The World’s Best” in February and March. Hopefully, it will be renewed for a second season.